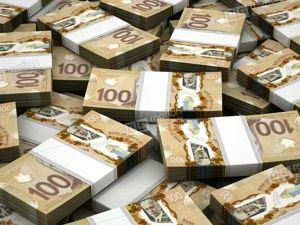 One million dollars is a lot of money, although with the elevated real estate market in Collingwood and Canada, it may not buy you everything you want. Here is what $1 million gets you in 8 communties across Ontario. 2,500 square foot condo in Kingsview Village. With access to a number of amenities, including pools, BBQs, tennis courts and featured as a resort style building, this property definitely has notes of luxury. With maintenance fees close to $2,000 a month, is it worth it for the $450,000 in upgrades, a grand foyer, limestone floors and a high-end kitchen? This waterfront property is located on a river and 12.36 acres. With a number of renovations and upgrades, the older building (built in 1926) is in move-in condition. With five bedrooms, a formal dining room and beautiful views, this property is located only a minute out of the city. In an older part of the city, this home sits on ½ an acre in Twelve Mile Creek Valley. With extensive updates, including a gourmet kitchen with two islands and a vaulted ceiling, the property is very well-maintained. Three bedrooms, three bathrooms, plus a family room, main floor office and a resort-like backyard with a pool and cabana house round out all of the best features of this home. On a 69x158ft deep lot, this Oshawa home backs on to a ravine and is located on a cul-de-sac. Built very recently, it was outfitted with a number of upgrades like dark hardwood flooring, potlights, granite counters and a full brick and stone exterior. Four bedrooms and the conventional main floor rooms like a dining room, living room and kitchen round out the space. This outstanding open concept design is located directly on the Georgian Bay and offers unobstructed water views. A chef's delight kitchen with walk in pantry and vaulted ceilings creates a one of a kind 'Commodore' design. Amazing amenities include waterfront tennis courts, marina and indoor and outdoor saltwater swimming pools. 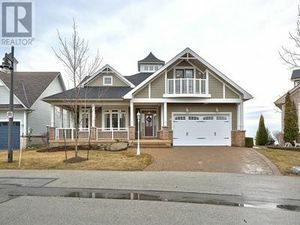 Located within minutes of skiing, golf and the town of Collingwood. This beautiful home, just steps to Northwinds Beach is also really close to a number of other Blue Mountain amenities. On a private cul-de-sac, this home will be newly built with a number of great features and upgrades. With a larger lot size and a 2 or 3 car garage, this home will definitely be a great fit for a family who wants to live in a great location in an amazing area. Another home to be built on a fairly large lot (10 acres! ), this home is close to the city and steps to the river. Upgrades and finishings will be top-notch and the home can feature up to six bedrooms. This 4 + 1 bedroom home is located on a 50-foot lot in one of Newmarket’s more desirable neighbourhoods. With fruit trees in the yard and thousands spent on upgrades, this home has been well lived-in. A basement apartment is available to get some extra rent to pay the mortgage.